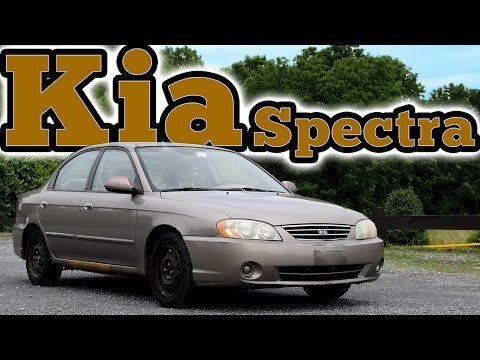 Standard Kia spectra with great miles and. Easy to drive. There hasn't been much. . . Good on gas. Its a standard like that too. The electronic parts ate wearing out but its 15 years old. It's quiet still engine starts fine. Had a battery for over 7 years in it before changing. Had arm replaced when got it nothing else. . But the usual spark plugs and tires. Oil change be careful of tilted oil pan most Kias have that so they try and say you have a slow leak where as they didn't tighten it on right because it's tilted. My car is a small car and it makes it easy to get into tighter parking stalls. It works great. Just a few problems with it. One problem that my car has is the speedometer has stopped working but it is not to bad because I never used it much before plus when driving you only need to follow the speed of other cars. When I drive a night I usually use the waze app to see my speed if there is not another car near me. The acceleration is not the best but it is not bad either I feel like it is better than a Dodge caravans acceleration. High performing, reliable Ford f250 super duty. Our Ford f250 super duty extended cab pickup truck is a great vehicle. It has had only minor issues, such as having to fix the steering because it veered to the right and minor maintenance repairs. It has a lot of power being a v8 and really is a great vehicle for a family with dogs and it has been very convenient for hauling things. We love this truck and would not hesitate to purchase another Ford truck in the future, .